This month we will learn about the letters W, X, and Y. In April we will learn about spring and Easter. On Friday, April 12th we will be dying and decorating Easter eggs in class together. The children are very excited to make their own Easter baskets that will be filled with Easter treats. We are also very excited to be participating in our 3rd annual Easter Egg Hunt in our school gym! There will be 12:00 p.m. dismissal on April 17th. There will be no aftercare on this day. School will resume on Monday, April 29th. We will learn about the letter Y when we come back from Easter break. 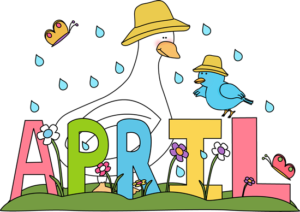 This month we will learn about the letters S, T, U, and V.
March is a very busy month for Nursery! 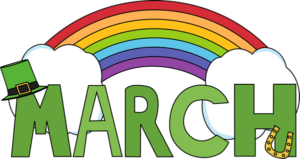 We will be learning about Dr. Seuss, Mardi Gras, Lent, and St. Patrick’s Day! We will also be learning about the season of spring. As a group, we will discuss the changes that occur during spring and make predictions about the weather. In honor of Dr. Seuss we will read a different book that he wrote everyday leading up to his birthday on March, 2nd. The children will complete projects and even create and wear their own “Cat in the Hat” hat! On Tuesday, March 5th we will be celebrating Mardi Gras or “Fat Tuesday” with our own “Pancake Tuesday”. We will be cooking up some yummy pancakes in our classroom. We will also talk about the season of Lent and what it means to us. On Friday, March 15th, we will have a St. Patrick’s Day celebration. We will be making our own Irish soda bread together. We are looking forward to the start of spring and the warmer weather to come! This month we will learn about the letters P, Q, and R.
We will be learning about Groundhog Day, Chinese New Year, Valentine’s Day and President’s Day. The children are starting to complete projects to decorate our classroom and halls. We will be talking about some of our presidents including George Washington and Abraham Lincoln. The children are continuing to practice tracing their names and using scissors. Our Chinese New Year party will be on Tuesday, February 5th. This year is the Year of the Pig! We have lots of fun activities planned including a parade around our school. Our Valentine’s Day party will be on Friday, February 15th. The children are so excited to celebrate with their friends! We have been decorating our mailboxes and the children cannot wait to fill them with their valentines! 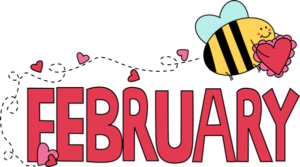 We are so excited for all of the fun things that are planned for the month of February! This month we will learn about the letters L, M, N, and O.
January marks the start of our “Winter Theme”. The children will be learning about the changes that occur in the season of winter. We will talk about arctic animals and animals that hibernate. We will also learn about Martin Luther King Jr. and why he was so special. In honor of “Martin Luther King Jr. Day”, we will be reading the book, The Crayon Box that Talked. This book discusses how different colored crayons come together successfully to make a beautiful picture. We will be reviewing our numbers and letters and practicing the children’s names. 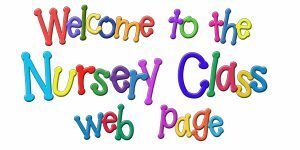 This month the children will start to explore using scissors. Practice this skill with your child at home whenever you can. We will soon start our “Mystery Reader Program”. A letter explaining the details of this program will be sent home next week. We are excited to start this program with you and the children! We hope everyone had a fun and relaxing Christmas break! Happy New Year! This month we will learn all about the letters I, J, and K. We are moving right along and are excited to learn about the other letters of the alphabet. Ms. McCann delivered a special package to our classroom-it was an elf straight from the North Pole! He was so cold and frosty and came to us without a name! We voted and decided to name him Marshmallow. We are so excired to have Marshmallow in our classroom. This month we will take a trip on the Polar Express. We’ll be able to come to school in our pajamas and slippers, drink chocolate milk, and eat cookies. It’s going to be so fun to get into the holiday spirit with our teachers and friends. Nursery will not forget the true meaning of Christmas as we will make preparations during this Advent season as we await our Lord on Christmas Day. We wish everyone a very Merry Christmas and a Happy and Healthy New Year! Giving thanks is the theme for November as we show gratitude for our veterans, who selflessly served in our armed services, and our families, who love and care for us. We also give thanks to the Native Americans and Pilgrims who cooperated to create the American holiday of Thanksgiving. This month, the children will host our annual “Thanksgiving Feast” for their families and loved ones. We can’t wait to sing the Thanksgiving songs that we have been practicing. We are so excited to share turkey, cranberry sauce, stuffing, and corn bread with our friends and families! 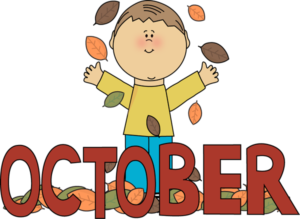 This month we will learn all about the Fall. We will also become explorers and discover who Christopher Columbus is. Fire Prevention Week starts on Sunday, October 7th. Our firefighters-in-training will learn important fire safety rules and how to dial 911. We will make fire trucks, firefighter hats, and fire hoses. As Halloween gets closer, we will get ready for our annual Pumpkin Patch and lots of tricks and treats. Parents are welcome to join us for our Pumpkin Patch on Juno Street where we will have apple cider, muffins, popcorn, and so much more! We look forward to welcoming the fall together! September is always a busy month for Nursery! This month we will be helping the children settle into their new school. The will become acclimated as they make new friends and grow accustomed to the classroom atmosphere. This month we will learn all about apples, Johnny Appleseed, and the letter A. 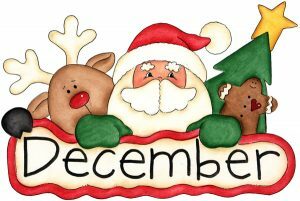 We look forward to more fun and learning in the months to come! Just a quick letter to welcome you to Nursery! Today we started our first full week of school. 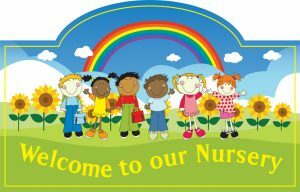 We are excited to get to know each and every child and what makes them special and unique. Full Day: Please send your child with a healthy snack and lunch. Half day: Please send your child with a healthy snack. Class dismisses at 2:00 p.m. for full day children every Wednesday. Please label EVERYTHING that your child brings to school with his or her name. This applies to snacks, lunch boxes, clothing, backpacks, etc. Please send your child with 10 pictures of him or herself to use for class projects. Please send back school forms as soon as possible. Thank you for your cooperation. We are looking forward to a fun and exciting year! Welcome to the 2018-2019 school year at Our Lady of Mercy Catholic Academy! We look forward to sharing an exciting and fun-filled learning experience with you and your child this year! We have so many fun, educational activities planned that we know your child will love. We look forward to meeting you and your child and starting our journey together! We will meet briefly on Friday, September 7th. This will serve to introduce the children to their new classroom and teachers. 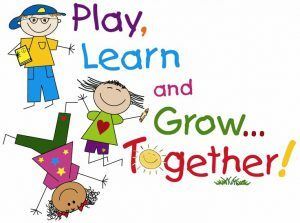 Children in the A.M. group — introductions will be from 8:30 a.m to 9:30 a.m. Children in the ALL DAY group — introductions will be from 10:00 a.m to 11:00 a.m. Please line up with your child at your designated time on the side of the school building next to the church. We will come to greet and take your child to the classroom at this time. We will be providing your child with a folder on Friday. This folder will be used for parent-teacher communication, student work and projects, and important school letters. We will need ten wallet size pictures of your child for class projects. Please send these pictures to school as soon as possible. 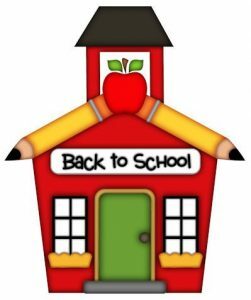 Formal letters regarding nursery guidelines, procedures, and information will be distributed at Back to School Night on Tuesday, September 4th. Remember, we are here to help you feel at ease and answer any questions you may have. Please don’t hesitate to ask. Get ready for a fun and exciting year!